Nigel and his assistant James delivered a lesson on raising finance to the lower 6th Wymondham College Business Studies students. nelsonspirit aims at supporting young people on their development path and especially around leadership. Providing a tangible lesson and insight into business will help to develop the student's knowledge of business and arm them with real life cast studies to supplement their curricular course. Apart from delivering the lesson, Nigel opened up the floor to the students to ask questions relating to a range of business areas. Thanks Wymondham College and Business Studies teacher Natasha for the invitation to work with the students. 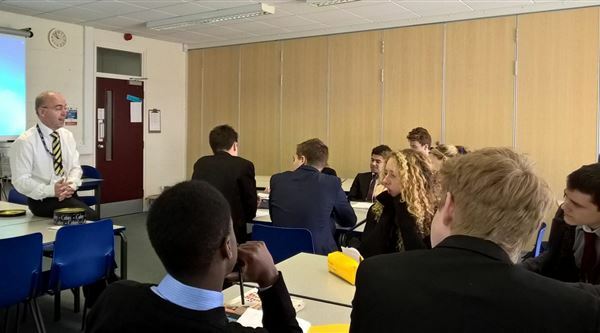 NIgel discusssing raising finance with Wymondham College's Business Studies students.